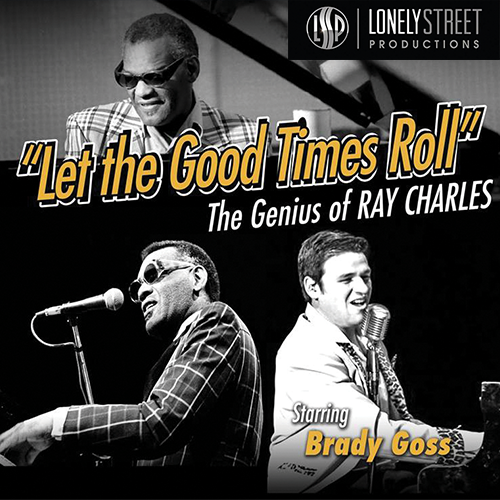 Produced by Lonely Street Productions, this is perhaps the most influential artist in Rhythm and Blues history, Ray Charles changed the entire course of American popular music with not only his jumpin’ and jivin’ boogie piano playing or his soulful and dynamic singing, he also changed it with a passion for bringing genres together. From his monumental success as a RnB and jazz artist to his record breaking crossover success in country, gospel, soul and pop music, there is no voice as recognizable as Ray’s. Join us as we “Let the Good Times Roll” and salute the signature piano pumpin’ and dynamic voice of the Genius himself, Ray Charles. We reserve the right to cancel any event. Price includes all applicable taxes. No refunds.